Neither does the statement make sense nor does its association with processes like explorer.exe, sihost.exe or ctfmon.exe, etc. We might never know the exact cause, but one thing is for certain: the error occurs while using intensive programs. Perhaps it strains the RAM. We will troubleshoot it accordingly. A flash driver can be used like a surplus RAM for gaming, known as ReadyBoost RAM. While this workaround isn’t the same as using the hardware RAM, it is very helpful. 1] Insert a USB flash drive. 2] Go to File Explorer >> This PC and right-click the USB drive. 3] Select Properties from the menu and go to the ReadyBoost tab. 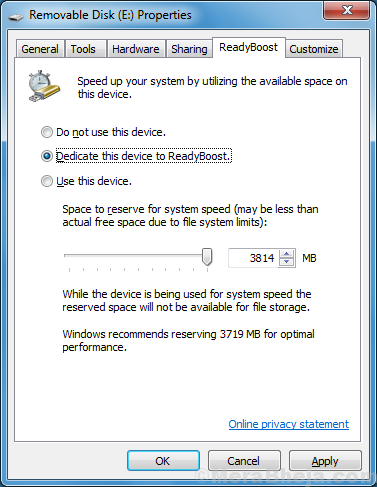 4] Select either “Dedicate this device to ReadyBoost” or “Use this device” and allocate the space accordingly. The Task manager could be very helpful in analyzing the situation. If the Disk utilization shoots up to 100%, it means the RAM is being burdened. 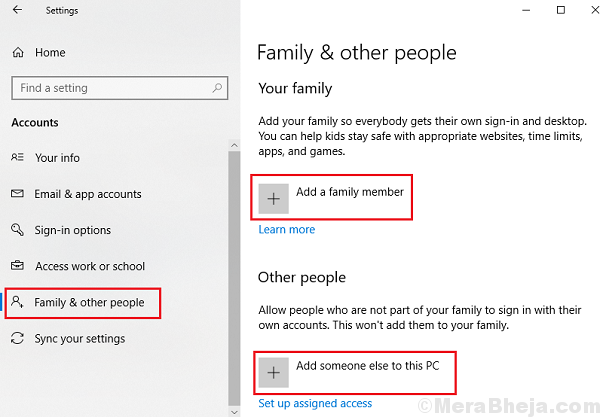 2] Select the Task manager from the list. 3] Check if the Disk Utilization is 100%. If it is, simply killing processes won’t help. you might have to consider uninstalling the program or increasing the physical RAM of the system. An SFC scan helps check bad sectors in the hard disk, and if possible, replace them. 2] Type the command DISM.exe /Online /Cleanup-image /Restorehealth and press Enter. 3] Type the command sfc /scannow and press Enter. 4] It would restart the system and check for issues with the Hard drive. 1] Open File Explorer and go to This PC. 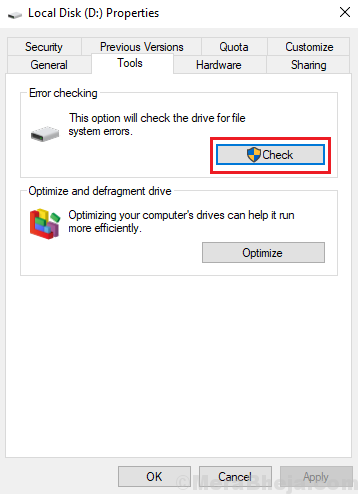 2] Right-click on non-system drives (eg. D:, E:, etc) and select Properties. 3] Go to the Tools tab and click on Check. This would require administrator permissions. At times, the issue might not be because of the RAM but the account from which the user has logged in. 2] Go to Accounts >> Family & other people. 4] Restart your system and log in using the new account. 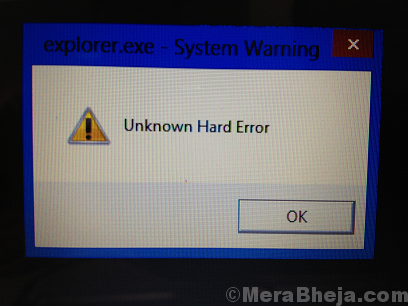 In case Microsoft finds a fix for this issue, the fix would be launched in form of a Windows update. Here’s the procedure for updating Windows. While we do not know the exact cause behind the issue, since we usually face it while playing heavy games with sophisticated graphics, it would be advisable to update the graphic drivers as suggested here.